The Delmar Gouldian Aviary, owned by Winnie McAlpin, is located in the foothills of the Great Smokey Mountains at Cleveland, TN. Cleveland. Cleveland is about one half hour from Chattanooga, TN, where Rock City, Ruby Falls, and the Tennessee Aquarium inspires wonder and appreciation for the natural world. The Delmar Gouldian Aviary, has been the site for selective breeding of the Lady Gouldian Finch since June 1997. Unrelated pairs of Gouldians were purchased between June 1997 and May of 1998. 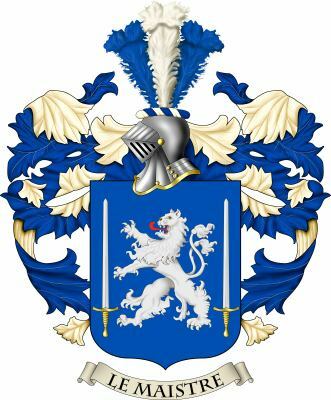 Observations and genealogy records have been carefully documented over the past fifteen years. The study of all known materials about Gouldians in captivity and in the wild have been used as resources for maintaining their environment and nutrition. The highest standard for quality breeding is a priority. Outcross pairings of unrelated stock has been the choice for maintaining the strength and vigor of Delmar Gouldians. Selective breeding for selective buyers has produced some of the finest Gouldians available in the USA. The Niota NFSS judging, held on October 26, 2002, awarded Delmar Gouldians BEST IN SHOW. On August 29, 2002 the first Lutino Gouldian in the USA became resident at the Delmar Gouldian Aviary. The USA Lutino Gouldian Project article was first published in the July-August 2004 NFSS Journal. A copy of this article can be found on the PUBLICATIONS page located at the top of this web site. Photos of the rare USA Lutino Gouldian can be viewed at the PHOTO GALLERY page located at the top of this web page. USA Lutino photos have been published in two books authored in Australia. These photos can be viewed in the new revised GUIDE TO GOULDIAN FINCHES AND THEIR MUTATIONS by the ABK (2005) and in THE GOULDIAN FINCH by Mike Fidler ( 2005). A photo of the first pure USA Yellow Head Lutino in the USA was published in the Nov-Dec 05 NFSS Journal. The Delmar Gouldian was developed for the Gouldian breeder who wished to purchase a larger Gouldian to increase the size of his stock. Other Delmar Gouldian lineage has been established for those who appreciated the rare mutations. But foremost, all of the Delmar Gouldians have been bred for the enjoyment of the Gouldian hobbyist and avian collector. 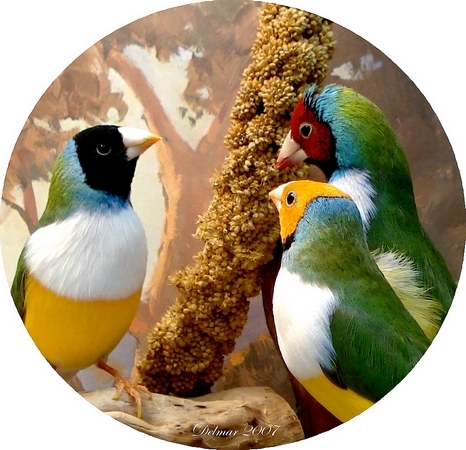 Since August 29,2002, the main focus for the Delmar Gouldian Aviary has been the development and preservation of the USA Lutino Lady Gouldian Finch. Our Gouldians are maintained in an environment, consisting of a 12 X 20 sun room and a 5 X 20 porch aviary, which promotes vibrant and healthy Gouldians. They are bred from September until December with specialized breeding extended until April. Temperature varies from 72 to 92 degrees to correspond with the seasons and daylength. Each pair is allowed two or three clutches each season with a maximum three or four babies per nest. Societies are used to assist the Gouldians in rearing their babies. Delmar Gouldians are intelligent, curious, playful and have individual personalities. All adult breeders are named and many respond to their names. The adults and offspring enjoy playing with toys. The juveniles like to be talked to and come forward for greetings. The babies are handled to create a bond with people. They enjoy authentic Australian music and nature sounds in a relaxed atmosphere.